I have made 4 different recipes for food/treats in the last few days, and they all failed. I even spent 5 hours working on a bread that ended up doughy in the middle. It was all so very, very frustrating, so I gave up on Pinterest recipes and went to the library. I loaded up on cookbooks and food magazines, plus a few health-related ones. I ended up finding an indulgent dessert recipe in my health magazine that I had to try, and it turned out perfectly! The cupcakes themselves were easy to mix up, baked up perfectly, and ended up light and fluffy. The custard filling was so good that I saved some to eat with fresh berries! And the meringue topping was easy, marshmallow-y, and the perfect frosting, because it doesn’t compete with the coconut flavor. So even though I love Pinterest, I’m using my magazines and cookbooks for awhile. I need all the help I can get right now, apparently. Have you ever had a time where nothing you make turns out right? Preheat oven to 350°F. Line muffin pan with 12 paper liners. In a large mixing bowl, whisk coconut oil and sugar until smooth, then whisk in vanilla and eggs. Add coconut milk and milk, and stir well. Add flour and baking soda and stir until combined. Stir in flaked coconut. Divide evenly between prepared liners, filling about 3/4 full. Bake until golden and toothpick comes out clean, 20-22 minutes. Remove from pan and cool completely on wire rack. In a small saucepan, whisk yolks, sugar and cornstarch until a thick paste forms. Add coconut milk, milk, and vanilla. Cook over medium heat while stirring with a whisk until thick. Let cool. Use to fill cupcakes. In a small saucepan fitted with candy thermometer, heat sugar and water to 235°F. In a stand mixer fitted with whisk attachment, beat egg whites until frothy. While still beating, add syrup in a thin stream. Continue beating until stiff peaks form, about 3-4 minutes. Beat in vanilla. 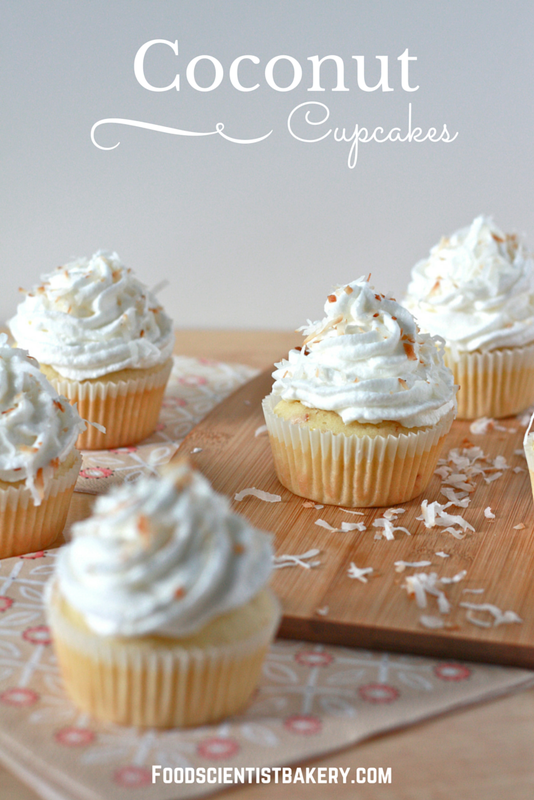 Top cupcakes with meringue and coconut shavings. Yes! 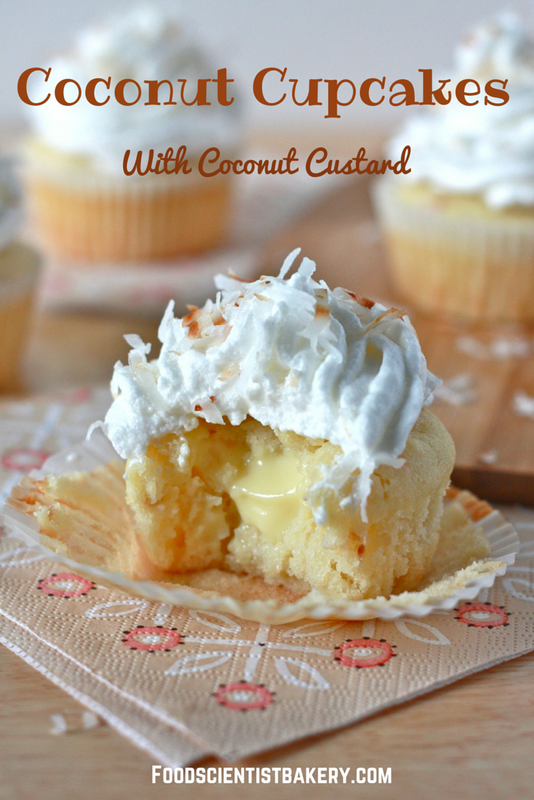 It is just like coconut custard pie! Totally. I’m glad I’m not alone in my failures 😄 I think the worst one was going to put some cookies in the oven and they all rolled off the baking sheet and into the hot bottom of the oven! I never used a flat baking sheet again. Wow! These look good! Love my coconut. Thank you! 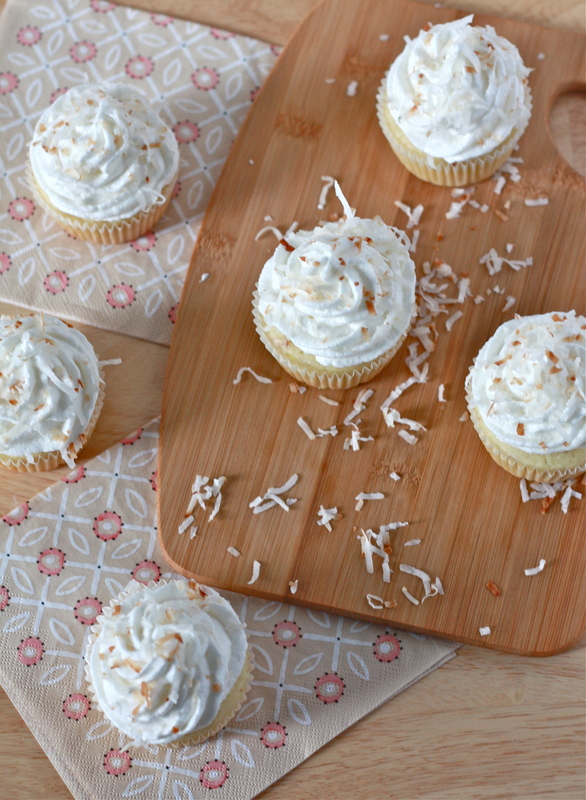 They’re chock-full of coconut flavor, that’s for sure. I love the different textures from the crunchy toasted coconut and the smooth filling. I’ll make some for you ASAP! Please forgive a simple question, but what mechanism do you use to get the custard into the cupcake?? Sorry I didn’t see this comment earlier! I use a pastry bag and poke the tip into the cupcake OR cut a cone shape out of the top of the cupcake, cute the top off the cons,mfill the hole with custard, and replace the top of the cone. Hope that makes sense. Good luck! Hello. Can I use coconut milk instead of milk? and if I don’t use sweetened flaked coconut too, should I add replace it with flour? or not? THANK YOU. Yes, you can definitely use coconut milk instead of milk, great idea! If you don’t use the flaked coconut, these should still turn out fine. It’s mostly there for texture, so to replace it you could use finely chopped nuts maybe? Otherwise, I’d just skip it. Hopefully that’ll work for you!